Root beer flavor comes from nourishing fermented herbs. This flavoring is amazing and delicious in drinks, beverages and ice cream. 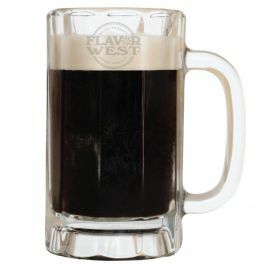 Type: Root beer Water Soluble Flavoring. Ingredients: Natural and Artificial Flavoring, Propylene Glycol and Ethanol. USP Kosher Grade Flavoring. Usage Rate: 15-20% for E-use. Flavor Suitability: Suitable for drinks, ice creams, pastries, beverages and more. Specific Gravity: 1.00 No Refunds on Flavoring. Not exactly like any soda pop root beer (like A&W), but definitely a solid root beer flavor. This is a great as a single flavor at about 12.5% and as a background flavor in recipes. I Like this as a changeup but not really something I like to vape all day. It is not sweet, just solid root beer flavor.